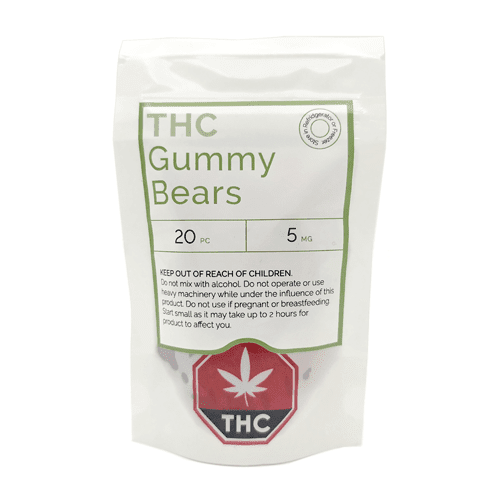 THC:CBD Infused Gummies | Order Edibles Online | Product Info. THC:CBD Infused Gummies are a community favorite so that is why we search for new producers all the time! The medicated gummy bears are killer and each pack comes with 400mg of nano cannabinoidl content, 4 pieces per bag x 50mg of THC and 50mg of CBD per candy. Due to SO much popular demand we've found some locally made and delicious THC:CBD Infused Gummies. These are amazing edibles guys. Ash recommend starting with a half and working your way up. They hit hard. Gets me nicely body stoned. Good for night usage. Nice gummies, good strong high and tastes pretty decent.